This entry was posted in Genealogy, Nelson Family, Uncategorized and tagged Caywood family, cemetery, family history, genealogy, Hendricks County Indiana, obituary by amanita. Bookmark the permalink. Thank you for posting this. I’m a descendent of Asa Caywood by his daughter Margaret. Thank you for posting this. I’m a descendent of Asa Caywood by his daughter Leah, and currently putting together a short bio of his life as part of a paper for my sister on our Cawood/Caywood connections. We’ve been tracing the roots of our ancestors with her working the maternal side and myself the paternal side. The Cawoods have been a real task as they have a documented history back to the 1200’s in Northern England. Were you at Moffett Field in the 60’s? I checked my tree and Henrietta Sparks Boyce was my great-great-grandfather’s (Everett Loring Sparks) younger sister. I had her listed as married to a Forrest Boyce. Is that correct? That is correct and if you need anymore help filling in the gaps from that part of the family (Henrietta and Forrest’s), just let me know. I can give you what I have. I was at my great uncle Forrest Rose Boyce’s funeral in Irvington. As was my father Cecil Rose Sparks. Great aunt Etta used to have the family tree that hung over Francis Marion’s bed. Do you have it? James, about the tree, no. I wish I had it. That would be amazing. I should ask my father in law if he knows anything about it, as Etta was his grandmother. I might be contacting you for info one of these days as I am trying to fill in some holes. Thanks for commenting! How do I get in touch with Kevin. I would like to talk about gr. aunt Etta. You’re quite welcome: Leah Caywood Ward was one of my 3rd G-grandmothers. 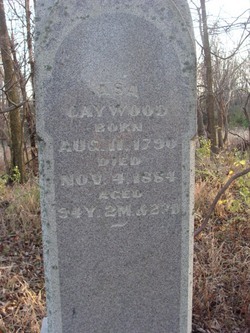 I’ve done quite a bit of research on the Caywood family through Asa Caywood, and currently live in the same area where our Caywood line began in the 1660s (Charles County/St Mary’s County MD. I was homeported at NAS Moffett Field with VP-19 from the spring of 1965 through the fall of 1969. Then with VP-46 from 1972-1977, and later worked there for COMPATWINGSPAC and ONI from 1985-1993. Could you please contact Cynthia Shelley and pass her my email address. We share a common ancestor, and may know each other from my active duty military time spent at Moffett Field Ca.